We’ve all heard it said, there are over 10,000 uses of silver in industrial applications. But are there really? With silver’s unique features of high thermal and electrical conductivity, it will continue to remain king in industrial and electrical applications. Also, with the recent discovery of nano particles and nano silver, there has been an explosion of silver uses & applications in the home. This combined with all the silver compounds available such as silver nitrate, silver fluoride, silver bromide, etc… you can easily expand on this list to get into the thousands. There is hot debate on the safety of nano silver being used in household products, particularly in silver ‘leaking’ into our environment. A recent study suggests this may not be the case. That being said below are 101 silver uses & applications in everyday life! 1. Silver sulfadiazine used as a topical cream to treat burns. 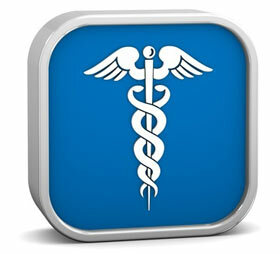 It made WHO’s list of essential medicines, as an anti-infective medicine. 2. Treatment of warts and corns usually in the form of a caustic pencil. The silver compound silver nitrate, is widely used, and is formed by reacting silver with nitric acid. 3. SilverCoat Foley catheters are used in urology to prevent urinary tract infections from catheter use. Canadian company Covalon is pushing the boundaries on medical technologies that saves lives. This SilverCoat technology is one of them. 4. Use in Radiology, silver halides are still being used in conventional x-ray film as an image receptor. Many third-world countries that don’t have access to advanced technology use this type of x-ray. 5. Silver is used in bandages and dressings to prevent the spread of infection. There is also many uses as gels and ointments for minor scrapes and cuts. 6. Use in implants and prosthesis. Silver-coated medical prostheses such as knee joints, tibia, femur, etc … are being more and more used to reduce infection rates in patients undergoing surgical implants. 7. Conjunctivitis drops for newborn babies. Silver nitrate has been used for a long time as drops for newborns to prevent pink eye. However, this is slowly being replaced by modern antibiotics such as erythromycin. 8. Prevent cavities with the use of silver diamine fluoride. Kids and cavities go hand in hand, so what better way to prevent that than with a little silver. Reported by DentistryIQ. 9. Silver needles & sutures used by surgeons to close up wounds. This was first discovered in the early 1900’s by a man named Reuben Ottenberg. 10. Silver bearing coatings for hip joint implants named as SMART-HIP. Bearings such as these, not only aid in preventing infection in implants but also reduce friction by silver’s self-lubrication for longer use and durability. 11. Dental fillings are often composed of liquid mercury along with powder mixture of silver, copper, and tin to give it that ‘silver’ look. 12. NASA utilized silver ions as a lightweight water purifier for the Apollo spacecraft. Instead of using traditional chlorine, NASA employed silver ions to be released in the water to destroy bacteria which is later then filtered out. Using a combination of copper and silver ions revealed to be effective in killing E. Coli, Staph, Strep, Salmonella and other common bacteria. The Russians are also known to use silver to purify water in orbit aboard the International Space Station. 13. Hospital tap water filter have been tested with a silver layer membrane to filter and purify the water throughout the hospital. 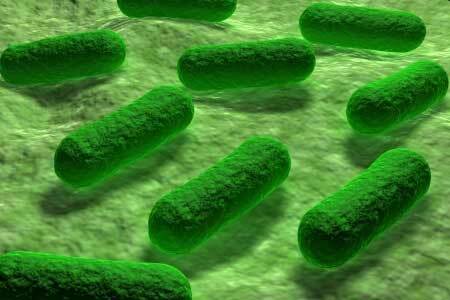 This helps strain microbes and prevent Legionnaire’s disease. 14. Water Purification in third world countries. Colloidal silver is also being used to further treat ceramic water filters to aid in killing bacteria and pathogens & to help bring clean water to developing nations. Junk silver is a great item to have on a survival list for a collapse scenario. 15. Colloidal silver production and use has exploded as a homeopathic remedy and immune builder in recent years to treat ailments and diseases. 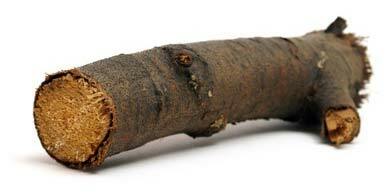 It can be used to treat bronchial problems, guard against cold and the flu, & treat ear infections to name a few. 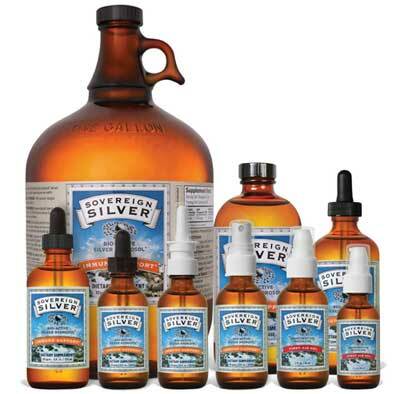 A popular and recognized brand of Colloidal silver is Sovereign Silver. 16. Antimicrobial lab coats used by doctors and lab technicians to protect against the growth of microorganisms on your coat. This also fights odor-causing bacteria in its natural state. 17. Cauterizing agent for stomas or openings in surgery. Silver nitrate can be used to close off or remove an opening in the body through cauterization to prevent infections and mitigate damage. 18. Silver nano wire biosensors are being developed for a wide-range of disease diagnostics. The National Science Foundation helped fund a group of UTD faculty in the development of complex electronic bio-sensing mechanisms using silver nano wire. 29. Fight E. Coli. Silver salts added to antibiotics are found to be up to 1,000 times more effective! Silver has the ability to neutralize the bacteria’s defenses making the antibiotic easy to target and kill. 20. Antidote in Mercury poisoning. Silver chloride has been used to treat mercury poisoning by flushing out the toxin from the body. 21. Help stop smoking. I found this one quite interesting, silver acetate in the form of gums, mouth sprays, and lozenges was shown to help people stop smoking. This first hit the market back in the 1970’s with a gum called Tabmint. 22. Surface disinfectant used as a broad spectrum cleaner. The product, Nanosil, is an EPA approved hospital and medical environment disinfectant without the use of toxic chemicals. 23. Kill fungus in the nail bed. Podiatrists are known to use silver in nitrate form to kill off fungus growth in the nail bed. 24. Surgical masks are another product that has been cleared by the FDA for use. 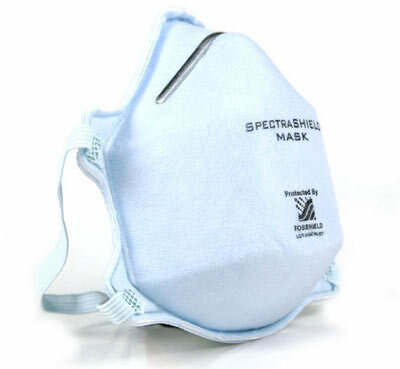 Spectrashield surgical respirator masks works with a blend of copper and silver ions woven into the fiber of the mask to eliminate 99.99% certain odor-causing bacteria. 25. Sanitary bed mats with silver containing a non-woven fabric. These mats can be used for long term patients requiring bed stay and help prevent the recurrence of bedsores. Nano silver is hydrophilic which means that when it comes into contact with moisture (sweat, bodily fluids etc …) its anti-bacterial effect becomes stronger! 26. Water, soft drinks, and juice cans are now being targeted with a new kind of colloidal silver by bio tech firm Goldsol. Their product microbisil are extremely small nano particles that are coated with a proprietary substance allowing to remain stable in liquids other than water. 27. Door handles are now being coated with silver to prevent bacteria from spreading. Agion silver is being used and tested on Penn State Erie’s door handles. Moisture from an individual’s hands when touching the door release the silver ions which bind to bacteria killing it off making the handle cleaner. 28. Silver has been tested and used to coat endotracheal tubes to resist the spread of infection and bacteria. Patients on ventilators are at risk to develop pneumonia due to resistant bacteria. Silver coated tubes were found to reduce this form of pneumonia by nearly 40%. 30. Circuit board contacts use silver on printed circuit boards due to its unique thermal and electrical properties. 31. Speaker wires that demand high purity conductors will often use pure silver. Homegrown audio sells bulk silver audio wire. 32. RF connectors or radio frequency connectors are used with coaxial cables to work at certain radio frequencies. Some of these connectors are silver-plated. 33. 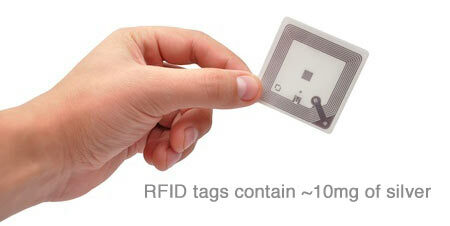 RFID tags are becoming more and more common for inventory management to replace bar codes. Each RFID tag is said to contain 10.9 mg of silver, and demand continues to rise each year, by 2017 over 9 million ounces of silver are projected to be used in RFID technology. 34. Railway switch gear often uses silver cadmium oxide as a benchmark for arcing contacts in most control and switchgear products. 35. Keyboard skins can now be bought with a nano silver coating to protect against spreading of germs and bacteria. Readily accessible just search for them on Amazon. 36. Superconductors pair with silver to increase transmission of electricity, and are more efficient than when the superconductor acts alone. This is called the ‘proximity effect’, when a metal is placed in contact with a superconductor its conductivity is suppressed. But using silver has a inverse effect increasing superconductivity. 38. Media storage. You can find a fine silver layer used on DVDs for media storage. A fine layer of gold or silver gives a longer life expectancy as well as better reflectivity. 40. Solar Panels: photovoltaic panels or solar panels often contain up to 20g of silver each. With this industry virtually non-existent 10 years ago, silver demand in the solar industry is growing at a fast clip as an alternate form of energy. 41. Double pane windows: similar to thermal telescopes, windows with double and triple panes using a silver coating offer better thermal efficiency. This can be used for homes that want the lowest heat gain during hot summer months. 42. Silver-oxide batteries: this type of button battery has a 40% more run-time than lithium-ion batteries and can be found in for hearing aids, watches, and other small electronic devices. 43. Silver-zinc batteries: another form of battery using silver. This battery has a unique history as having powered the powered the Apollo lunar rover as well as the Apollo Lunar Module. 44. Thermal & infrared telescopes: silver coating on the surface of infrared telescope mirrors is because is offers greater reflectivity than other metals. It also reduces the total thermal emission from the telescope. 45. Fuel cells: thin nano silver foil is used in making fuel cells, the process of creating electricity from chemical energy. 46. Control rods in nuclear reactors: these rods control the fission rate of radioactive elements such as uranium and plutonium. 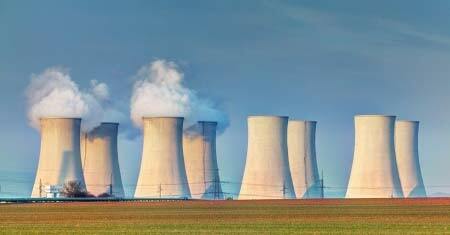 Silver is often used in pressurized water reactors, combined with Indium and Cadmium. 47. Oddy Test in musuems: this test was created by British scientist Andrew Oddy to test materials for safety around museums and art. The Oddy test, uses 3 metals silver, copper, lead in an airtight container to test sample materials that may damage delicate artwork or artifacts. 48. Silver staining in microscopy work: Silver staining is used in microscopy work to target certain elements, proteins, or organisms by altering their appearance through silver. 49. Silver acts as a catalyst: to produce ethylene oxide. Ethylene oxide is very versatile appearing in textiles, detergents, & agrochemicals to name a few. 50. Wood preservative: Silver as a biocide is now being tested and used as a wood preservative to prevent white-rot decay as well as its effectiveness in reducing termites. 51. Formaldehyde: Silver is also be used as catalyst to produce formaldehyde which is an embalming agent and has many other uses as well. 52. Explosives: Yes, a compound of silver is silver fulminate, which is a highly sensitive explosive. Due to its sensitivity, it is more of a novelty explosive showing up in kids ‘crackers’ or ‘pops’ type fireworks. 53. Alloy Finishes:Dow Electronic Materials recently developed a cyanide-free silver solution for decorative and functional applications. This finishing solution can be applied to both copper and nickel alloys. 54. Inorganic chemistry: silver nitrate cations are used in inorganic chemistry to extract halides. Can also be used in analytical chemistry to determine the presence of chloride or bromide ions. 55. 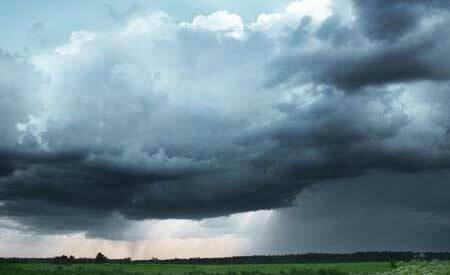 Weather modification: Silver iodide is often used for weather modification or cloud seeding. This type of climate engineering releases substances in the air (silver iodide or dry ice) to increase cloud condensation in the air usually to bring some form of rain or snow. 56. 3d printing: inks made up of silver nano particles are beginning to surface in the world of 3d printing. Electrodes can now be printed just a few micrometers wide. 57. Powder coatings: peridium powder coatings for industrial applications are starting to apply Agion microbial coats to their coating lines to give it a true anti-bacterial finish. 58. Semi-conductors: semiconductors and silver go hand in hand and are useful in creating the fuses with pure silver strips. 59. Helicopter bearings: silver-plated bearings are being used in helicopters for high fatigue resistance as well as to combat high temperature and durability. 60. 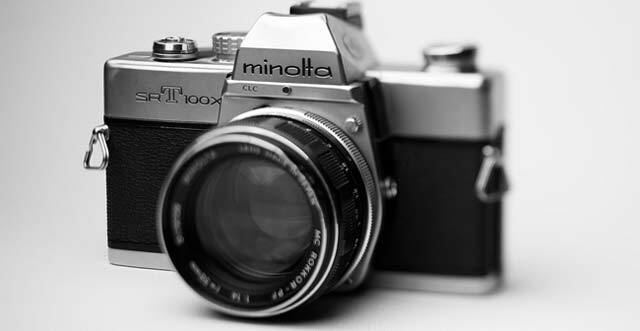 Photography: While on the wane, silver it still used in color film photography. Silver halides are used in a gelatin process with film and paper to process film due to their light sensitive features. 61. Use in mirrors: Reflective mirror surfaces are made with a process called ‘silvering’. While aluminum is a cheap metal to use, it only reflects ~90% of the light. Silver, with one of the highest degrees of reflectivity, reflects up to 95% – 99% of light when applied as an optical coat to a mirror. 63. Silverware: Sterling silver is also widely used for flatware and cutlery. Knives, forks, spoons, dishes and bowls. Apart from its beauty, it also played a unique role in Korean History. In the Joseon Dynasty, royalty used silver spoons to detect poison, as silver will tarnish when it comes into contact with sulfur, detecting @!$#@$@ sulfides. 64. 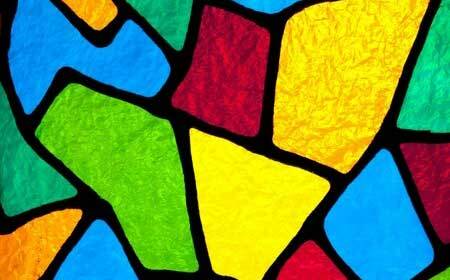 Stained glass: silver nitrate is often used to produce the yellow color in stained glass. The silver actually penetrates through the glass and can give a light yellow to deep amber color. 65. 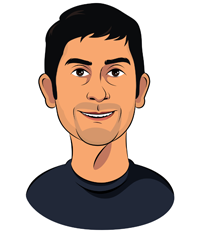 Coins & Investment: Of course, this list wouldn’t be complete without mentioning silver coins. The US has the most popular silver bullion coin being minted, the American Silver Eagle. These shiny objects make great for stacking! As well as all the other investment products of silver you can read about in our buying silver guide. 66. Swimming pool purification: Move over chlorine, no more burning eyes, dry skin, or that strong chemical smell. More and more people are now using electrical ionizing copper/silver units for swimming pools as an alternative to chlorine. Mineral Pure is one such manufacturer of these systems. 67. Food containers: Chinese producer, Anson, makes nano silver fresh containers for food storage. You won’t find these in the US, however, as the EPA has not thoroughly tested this type of use for nano silver. 68. 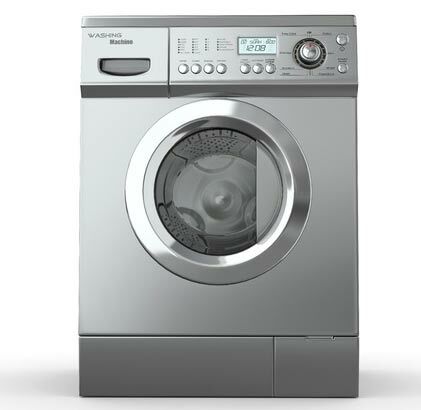 Washing machines: Pioneered by Samsung and LG, silver nano is used in washing machines to pair with water and clean clothes from bacteria leaving your clothes with a coat of silver ions for more odor-free, bacteria-resistant clothing. However, there is some debate on the safety of these machines. 69. Windows: Silver can be added to polyester sheets to apply onto windows which helps to lower light transmission. 70. Car engine bearings: engines bearings used in automobiles are also electroplated with silver due to its ability to withstand heat and reduce friction. 71. Brazing and soldering: silver use in metal work such as brazing or soldering is useful in connecting metal pieces between joints such as water pipes and heating/air conditioning. 72. Windshields: silver is being applied to car windshields as a coat to reject more of the solar heat load from the sun than conventional windshields without the silver coating. 74. Pottery glaze: silver chloride’s unique properties make it useful as a pottery glaze to produce an ‘inglaze luster’. 75. Keep milk safe: Protecting rubber seals in the production of milk is crucial for food safety. Milkcouplings are now being processed with Bio-hygienic, a silver biocide. This helps kill microbes and bacteria in and around the sealing ring. 76. Foray stay put pens: pens that are for public use as security counter pens are being coated with anti-microbial solution using silver ions. These high traffic pens are ideal targets for microbial growth. 77. Food garnishing: Yes, that is right! Silver foil just a few micrometers thick, called vark, is sometimes used to garnish delicacies, sweets, and other foods in South Asian cuisine. It’s harmless and edible but has no flavor. This cannot cause argyria which is from the ionic bioactive form of silver, plus the quantity involved is minuscule. 78. Photochromic (tint) lenses: If you wear eye glasses that darken in the sun automatically then most likely you have millions of silver molecules embedded directly into the glass. Silver halides, due to its reversibility to UV rays, are used to make tint lenses. 79. Refrigerators: Samsung has produced a line of refrigerators using silver nano to better protect and preserve food as a shield against harmful bacteria and the growth of organisms. 81. Cutting boards: infusion of pure silver particles into cutting boards have been used in South Korea and Japan for better deodorization and sterilization. 82. Skin and Body Care: American Biotech Labs introduces a silver gel for skin and body care. It will help to hydrate your skin as well as promote natural healing due to infused silver colloidal in the product. 83. 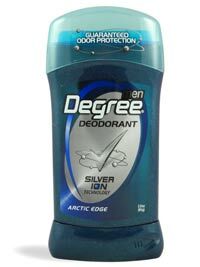 Personal deodorant: some companies, such as Degree, are using silver chloride in their deodorant for better odor fighting products. 84. Air conditioning: a/c units now come with silver ion filters for clean fresh air. These filters help reduce pollutants in the air by releasing silver ions that block bacteria, fungus and other microbes. 85. Diaper Bags: some manufacturers are using silver’s natural shield against bacteria as a natural lining inside of diaper bags. Parenting product maker, Skip Hop makes a bag such as this for up and coming parents. 86. Birdfeeders: Wild birds unlimited offers an advanced new bird feeder with ‘antimicrobial product protection’. Part of their Ecoclean bird feeder, they have partnered with Agion to inhibit the growth of mold, bacteria, and other microbes that can grow on conventional feeders. 87. Curling Irons: nano silver hair care products such as curling irons, hair dryers, and combs. Some distributors even make nano gold infused curling irons. Welcome to the club Au! 88. 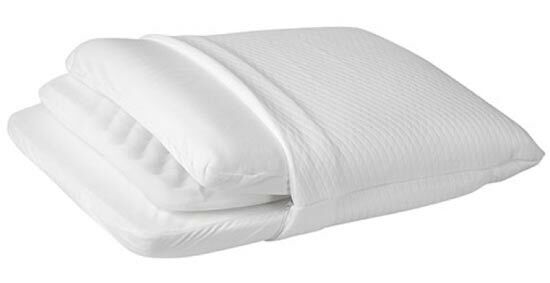 Pillowcases and bedding: ionic silver pillowcases, sheets, and bedding are now being used. Certain pillowcases are even marketed to help stop acne by killing germs and bacteria that live on the pillowcase and come into contact with our skin. Here is one from amazon. 89. Footware: silver lined insoles or fabric has the unique ability to fight bacteria and odor, which is perfect for shoes and activewear. Running, hiking, or exercising, shoes of all types can benefit from this. 90. Denture cleaner: nano-silver is back again, this time assisting UV light sterilization to help clean dentures without the use of chemicals. Produced by Taiwanese company Digimax. 91. Toothbrushes: it is said that your toothbrush is home to over 100 million bacteria that is transferred from your mouth. Mouthwashers has devised a toothbrush with silver infused bristles to eliminate bacteria leaving your brush clean after each use. 92. Nursing bottle: South Korea company Baby Dream has a line of silver nano products including a pacifier, mug cup, and nursing bottle. 93. Biowear: Mega giant Ralph Lauren introduced a high-tech shirt at the 2014 US Open featuring bio-sensing silver fibers. Sensors in the shirt can transmit data directly to a cell phone via bluetooth, such as heart rate, stress levels, and breathing rates. 94. Hunting/Military ware: US company NanoHorizons makes a proprietary nano silver additive called SmartSilver. For hunting, controlling your scent and odor helps minimize detection. For military, for overall better protection against bacteria growth when continuous use of gear is demanded. 95. Baby wipes: Vietnamese baby company, MamyPoko makes Bobby baby wetwipes that use nano silver particles for better cleanliness and overall health. 96. Laundry Detergent: nano silver has also found its way into laundry detergent. When used, it releases silver ions into the clothes giving them odor-fighting protection. 97. Musical instruments: silver plating and use in high-end musical wind instruments such as flutes is also common. Here’s a nice handmade silver flute by Yamaha. 98. Anti-freeze: anti-freeze coolant’s main ingredient is ethylene glycol, which is made indirectly through silver as a catalyst. So, next time you pour coolant in your car, you can just watch the silver slowly disappear. 99. Ultrasonic Humidifier: Adding silver technology to the tank prevents the growth of mold and mildew more so than standard humidifiers. Made by Guardian Technologies they also make air purifiers and sanitizers as well. 100. 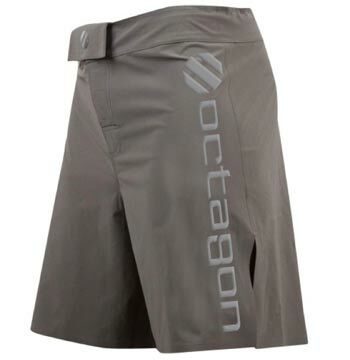 UFC apparel: Agion-Tech has partnered with the Ultimate Fighting Championship group to offer anti-microbial apparel, with their active agion technology. They offer shorts, tank tops, and short sleeve tops at ufcstore.eu. 101. Cabinetry: Furniture hardware company, Hafele, has an anti-microbial collection decorative finishing pieces of handles and knobs for cabinets. 102. Silver bullets: This list wouldn’t be complete without silver bullets. Bullet Forge offers .357 magnum bullets jacketed in 99% pure silver. So if you have any werewolves lurking around, you’re covered. If you want a silver bullion product of just hand poured silver, you can take a look at Northwest Territorial Mint’s line of bullion ammo. From a 22LR to a 12 Gauge, very unique products! 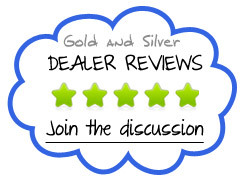 Feel free to leave a comment of any unique uses of silver that you’d like to share! 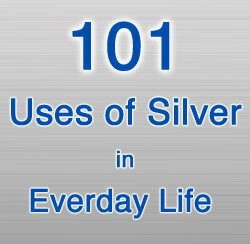 I knew few uses about silver like in jewellery, coins and may be in few electronics but I was completely unaware that there are 102 uses of silver in daily life. and silver bullets, toothbrush, baby wipes??? seriously??? I mean that was next to impossible for me to think. I’m very appreciate about your relevant information of silver. would you mind forward me how to get silver and is any machine could make silver from extracting chemicals? Thank you in advance about your assistant. Muchas gracias esta informacíon realmente ayuda!! This is very nice. It helped me for a project at school.